Many are familiar with financial portfolios (stocks, bond, cash equivalents etc. ), but did you know that you can also manage your projects together in a portfolio? Read more about the benefits of portfolio management and how you can implement it into your organization. What is a (Project) Portfolio? A portfolio is a collection of projects, programs, or financial assets that are managed together. 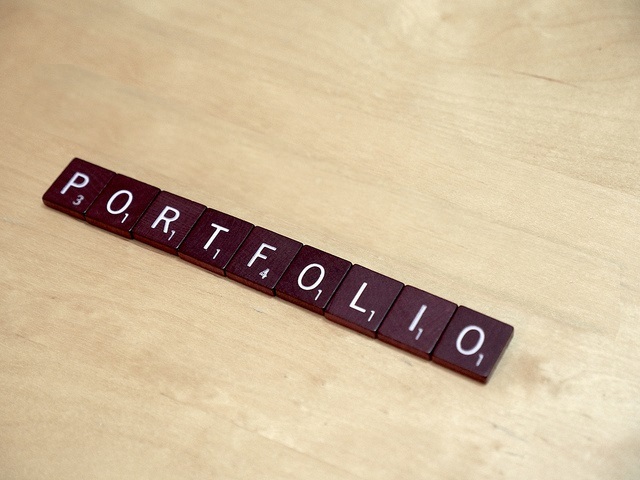 The components of a portfolio don’t necessarily have to be related. They can include projects across the organization or only those within a department, or both. Portfolios help the organization achieve strategic goals. Portfolio management is not just doing several projects at the same time, but it deals with the management of a collective of projects, i.e. one or more portfolios. Portfolio tools can be as simple as spreadsheets, or more sophisticated such as project management software. It’s less about the success of each project, but how all projects together contribute to the success of a pre-defined strategic goal. It looks at groups of projects from a bird’s eye view instead of concentrating on individual projects. The aspects of portfolio management are manifold and include activities such as prioritizing, selecting, monitoring and controlling the right projects, i.e. projects that offer strategic value for the business. It also helps managers improve their decision making and minimize risks. The biggest benefit of portfolio management is clearly the alignment with strategic organizational goals, i.e. the bottom line. But it also improves resource and budget allocation in order to facilitate those objectives. In fact, a study from the PMI institute found out that many companies that are highly effective in portfolio management met or even exceeded their expected Return on Investment (ROI). Now that you know what portfolios are and what the benefits of portfolio management are, how can you implement it? The first step, before you even start to select the components of your portfolio, is to define your company’s strategic goals. What do you want to achieve? Strategic objectives can be financial goals such as increasing your market share, reduce costs or increasing your ROI. But objectives can also be non-financial, such as improving customer satisfaction or increasing brand awareness. This is basically a gathering of all the projects in your company. It’s best to capture the data in a single database to keep it in one place. Include all relevant information (name, estimated cost, resources needed, ROI, benefits etc.) so that you can later select and prioritize the projects. Compiling a project inventory will also help you recognize redundant projects. After you’ve gathered all projects, it is time to use objective criteria to select and prioritize the right projects. The questions you should ask are: how does this project contribute to my organization’s strategic objectives? Will it have a positive or negative impact on it? Is the project performing well or not? Does a successful completion of the project automatically mean that our strategic goals are met? If the answer to all these questions is not satisfactory, then you should be ruthless and kill any project that does not meet the company’s goals. It sounds harsh, but it is necessary. When prioritizing projects, you should find the right balance between low and high risk projects, as well as safe and unsafe projects. A big advantage of portfolio management is that you can actually take risks while balancing them with less risky choices. The last step is to create a project schedule according to the projects you have selected. This ‘master plan’ will help you see how much resources they require. It’s also important that you shouldn’t just let the projects run on their own, but have active review sessions in which you regularly assess their performance. Managing Portfolios - Making Hard Prioritizations for Project Success - InLoox • Copyright 1999-2019 © InLoox, Inc. All rights reserved.